Are Domain Authority (DA) and Page Rank (PR) Still Relevant To SEO? I've heard about DA and PR in the past, but do I still need to worry about them? Prior to Domain Authority, Page Rank was the primary method SEOs used to determine the authority of a domain. As you might have guessed, any metric which Google uses to rank a site is going to be manipulated once discovered. 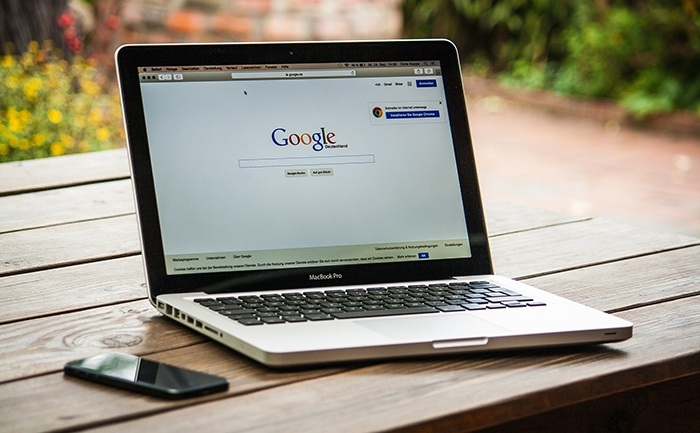 Once SEO's began to artificially jack up their PR to rank websites, Google announced that PR is no longer a ranking factor in their search engine. But wait. SEO blogs still claim that PR is important and Google's just faking everyone out to prevent us from gaming the system! So what's the deal now, are Domain Authority (DA) and Page Rank (PR) still relevant to SEO? In the big picture of how to rank a website, you really don't need to worry about your own DA or PR on a daily basis. Even when looking at other websites, DA and PR are not going to help you make big decisions about managing the SEO of your website. I guess if you are doing a deep dive, finding white-hat backlinking opportunities, or thinking about which blogs you want to feature in your peer outreach efforts, then you could glance at these two metrics as part of an overall effort to understand a website's authority in search engines. However, there are so many examples of where DA and PR are not relevant, I would not spend much time focusing them. Domain Authority predicts how well a given domain will perform on the SERPs (search engine results pages). The metric was developed by a software as a service company (SaaS) called Moz. It gives every website a score between 1 and 100. The higher the score of your domain, the greater authority or ability it has to rank. Several factors go into the calculation of a website’s score such as referring domains or the total number of links. You’ll need to download the Moz bar extension to view the DA of domain names you come across. However, the extension is only available for the Chrome browser at this time. DA is probably the best replacement for PR. A shame their toolbar is not available on Firefox browsers. Similar to DA, PR (developed by Google) determines the importance of an entire website. PR works by calculating the total number of links and their quality to provide a rough estimate of how important a site is. Unlike DA, it uses a scale from 1 to 10. The higher the score of a website, the better it’ll perform on the SERPs. Website owners used to be able to view their PR and that of others by downloading the PR toolbar, but Google stopped updating PR publicly after December 13, 2013. Gary Illyes, a Webmaster trends analyst at Google, confirmed on Twitter that the search engine still uses PR internally to rank web pages. They did it because of link spam. If there’s one thing the search giant hates most, it’s spam! In fact, they’ve got an entire team dedicated to fighting it. As more Webmasters realized the significance of PR as a ranking factor, they started buying and selling links. It was easy to sell links if you had a high PR site. There was a PR toolbar that literally gave anyone the PR of any website they visit. So even though PR was (and still is) just one ranking factor among thousands, it became the one and only thing people focussed on for years. Therefore, link selling practically became a huge industry overnight. Link selling is big business and unfortunately, people still use PR as a metric around the globe. That screenshot was taken from Fiverr recently. As you can see, there’s plenty of high PR link selling still going on. Backlinks are still a huge factor used to rank web pages! That being noted, I wouldn’t recommend buying links, especially, ones that are openly sold in marketplaces like Fiverr. 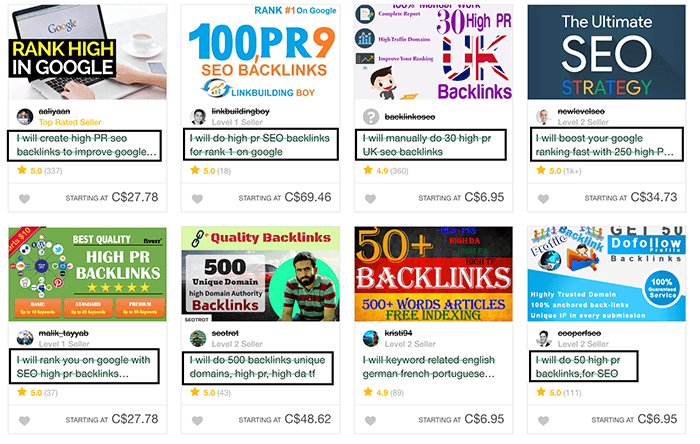 Any SEO expert worth their salt know that these kinds of dirt-cheap link building services will only do harm to your website. Over the years, Google’s algorithm has learned what links to count and which ones to discount (or penalize!). In partnership with other search engines, the ‘nofollow’ HTML attribute was introduced in 2005 by Google to fight comment spam. It allowed websites to stop the flow of link equity from one page to another via links. Today plenty of websites that allow commenting on their blog, use the nofollow tag and modern CMS (content management systems) implement it by default. Nofollow also serves as a deterrent to low-quality content spamming such as when a site excessively uses article directories. Clearly, Google is yet to drop PR internally but is it still useful for SEO? Without a doubt, PR is sort of relevant. However, because everyone remains in the dark and are unable to use it for making decisions, it’s best to find an alternative metric. This is where Domain Authority comes in. Domain Authority is the closest thing we have on the web to PR. Use it when determining the worth or authority of a website as a whole. However, be careful not to use DA for gauging the importance of an individual web page. Moz has another algorithm called Page Authority that they use to measure the importance of a single web page. DA is best used as a comparative tool rather than an absolute measure. Your goal should be to have a higher DA than your search competitors. These are sites within your industry or/and location that compete for the same keyword. For instance, if your site has a DA of 10 but you found that your search competitors each have a DA of 30 or less, then maybe 40 is a good goal. DA uses a lot of factors beyond just backlinks to estimate the ranking power of a site. According to Moz, the idea behind the reasoning for this is that since search engines account for hundreds of factors, it made sense that their metric also did the same. Nonetheless, the fastest way to influence your DA is with a great backlink profile. Ideally, you want more followed links. So avoid nofollow backlinks whenever possible but don’t disregard them because they can still be useful. Whether follow or nofollow, links can lead to other things like citations (more links), product sales, brand awareness etc. For example, one of the biggest mistakes I see people make when they leave a comment on a blog is that they don’t spend enough time on them. The way I see it, if you’re going to leave a comment on a blog knowing that the link will be ‘nofollow’, you might as well leave the best damn comment there is. The more effort you put into writing a well thought out comment, the more attention you get and higher your chances of being able to pitch your own content. Most moderators won’t refuse a valuable comment that adds to the discussion or content. In a nutshell, you’ll be tapping into their audience and that can lead to other exposure. Domain Authority is a nonsense metric, based on a shorthand for how SEOs would talk about the rough value of a domain, when discussing how to most efficiently pass that PageRank around the structure of the site. Should You Care That Much About DA or PA? Actually, people working for Google's search team have said that Domain Authority is not important at all. On the one side, this could signal that we can forget about Moz's tool and just focus on building out great content for our affiliate business. On the other side, of course Google cannot indicate that Moz is on the right track. Their algorithm is secret, and they want to prevent search manipulation. There are also many, many examples of sites with low DA outranking sites with high DA! I've seen my own site do it many times. So if DA is not an accurate predictor of ranking, why even bother? Well, that's exactly why I don't bother with it. If I can outrank a high DA site simply by having a better page, and a more optimized page, then it's useless for me to worry about this metric. It's also pretty obvious what's a good site! I'll take a backlink from ANY quality website, no matter if they have a score of 10 or 100. It doesn't matter to me! Lastly, keep in mind that having good numbers for these metrics won't earn you money. A website earns what it earns, regardless of which tool coughs up what.